• The Lazy Man Model "A" Series of Barbecues are designed to give you complete cooking control. 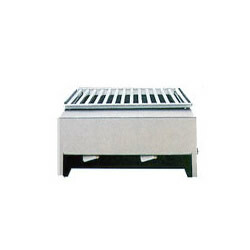 The Model A Series Open Hearth gas broilers have Stainless Steel Type 304 construction chassis, insert pan, drip pan and cooking grates. 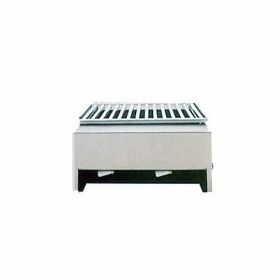 • Models feature two burners per section and are available in sizes from 17" to 68" wide. • All are supplied with natural lava rock and completely assembled. • This series is NOT to be built-in - front, sides and back are covered in Type 304 Stainless Steel. These units should be installed on a non-combustible counter top surface - not on wood. • All units use 1/2" I.P.S. gas connection. Stainless Steel Burner Tubes are available as an option or replacement on any broilers. • All Lazy Man Barbecues are for Outdoor Use Only. Cooking Area: 16 1/4" x 16 1/4"
Cooking Area, sq. in. : 264 sq. in.